Welcome to Vavel's 2018 NHL draft prospect preview! First up, Rasmus Dahlin. Ever since the age of 16, the "hype train" has followed Rasmus Dahlin. "He's better than a young Erik Karlsson," they said "best defensive prospect since Denis Potvin," they added "biggest hype for a European prospect since Alex Ovechkin." With that said, Dahlin has never been one to shy away from the spotlight. He became the first player born in the year 2000 to play in the Swedish Hockey League. He played on the Swedish Olympic team and was one of the youngest ever to accomplish that feat, and he joined Frolunda, the top Swedish Hockey League team, at the very young age of 16. Dahlin will come into the league with the expectation of greatness placed upon his shoulders right away. He will be expected to be a nightly contributor on the ice and anybody would be lucky to have him. He has been groomed his entire life for this moment and he is ready to seize it by the reins and show the world that he is the next great hockey player. Rasmus Dahlin is the Connor McDavid of defenseman. He can do it all; he has an extremely high hockey IQ. He has great ice vision, he can lead the rush, he is a "quarterback" on the power play. His shot, his speed, his size, and everything else that is needed to be considered elite... Dahlin has. Dahlin is head and shoulders above the rest of the draft class and the obvious number one pick. He is a franchise centerpiece and can truly be a game changer. His biggest downfall is his strength. There are times were he gets moved off the puck too easily or he can't fight for it, but that shouldn't matter to anyone evaluating Dahlin's abilities on the ice. He will build up his strength over time, but that isn't Dahlin's game anyway. He is more offensive in his approach and as long as he has players around to help him in those times of need, then his strength won't be that much of a factor. Dahlin may not light up the stat sheet, but that is because he does everything leading up to getting that secondary or primary assist. He had a boatload of tertiary assists in the 2017-18 season for Frolunda while having 20 points (7 G, 13 A) in 41 games. If you watch Dahlin's game, you can see that he has the puck on his stick nearly every shift and he is going against some of the best competition in all of Europe. Frolunda is basically the Chicago Cubs or New York Yankees of Sweden to put it into comparison. He strikes fast and moves the puck quickly while drawing defenders but his defensive game is strong too. He is quick to the puck, has a quick stick, and can hit well. He creates turnovers and immediately turns it into offense by leading the breakout into the opposing team's zone or the odd man rush down the ice. He has the ability to blow by defenders as well as use his speed to backcheck and get into position. There are very rare, if ever, occurrences where he is out of position or turns the puck over and when he is on the ice he makes every player better. He has the first one, last one out mentality and has grown into a talkative, leadership role with Frolunda that any team would love to have out of their younger guys. What will Buffalo be getting out of Dahlin? It is about time that my beloved Buffalo Sabres had something go their way in this long, horrendous rebuild. Winning the draft lottery makes up for the 2015 draft lottery where it was stolen away by Edmonton who didn't need anymore first overall selections. Buffalo still got Jack Eichel, but still. The fact that Buffalo is getting Dahlin though is that much sweeter. I've heard him being compared to so many Hall of Famers that it makes me giddy like a child on Christmas morning. Dahlin will be another piece to add to the puzzle to help them get over the hump. 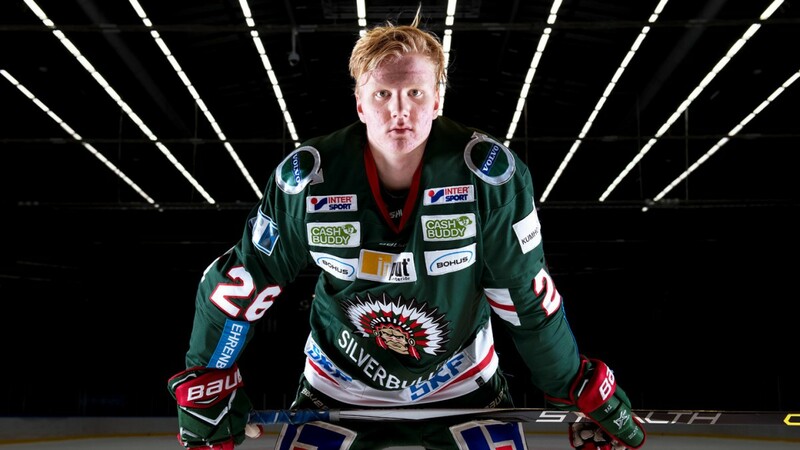 With the addition of Dahlin, Buffalo will be getting another weapon to add to head coach Phil Housley's young lineup. Dahlin will be 18 when he is drafted and Buffalo will definitely have a bright future to look forward to. Buffalo already has players like Eichel who is 21, Casey Mittelstadt who is 19, Alex Nylander who is 20, and other young players as well. Buffalo has been absolutely terrible in 5-on-5 play which is what is Dahlin's bread and butter. Dahlin can do so much with the puck on his stick and Buffalo has sorely missed having a playmaking defenseman on their blueline. Also, the addition of Dahlin will take pressure off Rasmus Ristolainen which should allow him to progress his career and become a better hockey player. The Sabres were also god-awful in comeback ability or "tiny heart syndrome" which is when the opposing team scores first and you have to come back and win. Last season, the Buffalo Sabres only won five of those games. Five! This out of an 82 game season folks, so not good at all. Rasmus Dahlin's abilities in the offensive zone will give Buffalo another playmaker and another young gun to add to that lineup that can carry the load that has been presumptuously placed on Eichel's shoulders. Dahlin is at his best when it's even strength, but he can also quarterback the power play. Buffalo has never really had a defenseman that can quarterback the power play since Brian Campbell from back in the day. Dahlin gives them that defenseman. He allows Housley to move Eichel back to center on the first unit and put Ryan O'Reilly on the second and allow Eichel to be moved from the defenseman spot which is where he mostly played last season. The player that I would compare Dahlin to for what type of season Buffalo fans have to look forward to out of him is Charlie McAvoy of the Boston Bruins. In McAvoy's first year, he came in and was very productive amassing around 25 points. For Dahlin, there is no reason not to assume that he can't at least double that to around 50 points. If he did that, that would not only put him at the top for rookie defensemen but it would put him near the top for defensemen in the entire NHL. Buffalo is "McDavid lucky" in winning the draft lottery and their future is very bright as a team. Now, all that's needed from the fans is just more patience. Without a doubt, Rasmus Dahlin is going first overall. We as hockey fans have been blessed over the past 8 years or so with the talent that has come out in these drafts. We have seen the likes of Auston Matthews, Eichel, McDavid, McAvoy, Patrik Laine, and so many other great players get drafted. We are truly in another golden age of hockey. Dahlin will have to live up to the hype of being one of the most highly touted prospects not just in this draft but ever. With comparisons to Hall of Famers like Brian Leech, Nicklas Lidstrom, and Potvin, as well as comparisons to other current NHL players, Dahlin should be the next great superstar. Buffalo fans have much to look forward to when it comes to Rasmus Dahlin, and they should be very excited that they are going to get another piece to build their franchise around. What do you think of Dahlin? How do you see his career panning out? What current or former NHLers would you compare him to? Tell me in the comments below!